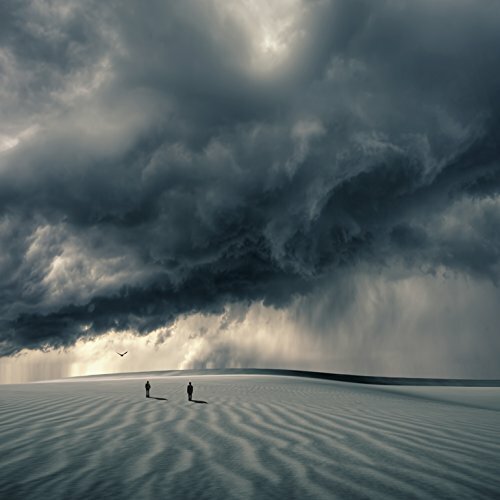 It Will Take Time by Philip McKay shows a desaturated, sandy landscape with an impending storm in vintage blue and pale yellow duotone. Two figures and a bird seem to be venturing towards the outlying downpour. Stirring work to be featured in the home or office, this fine art print is sure to evoke a thoughtful environment. This is a ready-to-hang canvas print with 100 year archival pigmented ink on museum-quality canvas. Actual dimensions may vary slightly from listed dimensions to preserve original proportions.